In 2013, he starts performing with his guitar on streets. 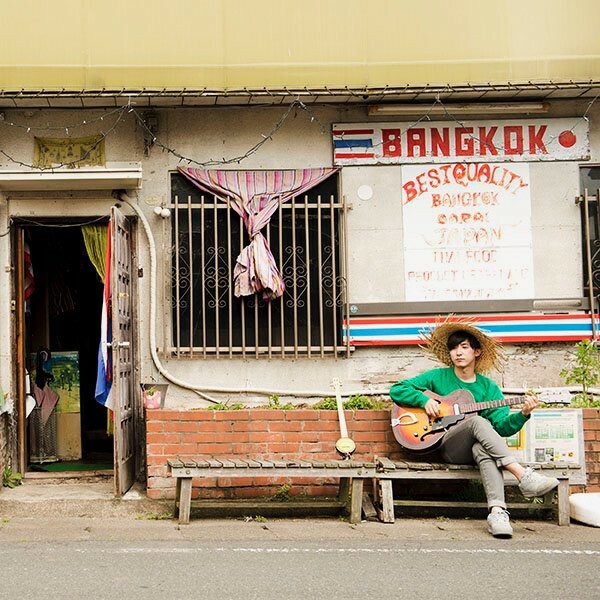 At the same time, he began to put out music on his soundcloud and self-released "Live in Miyazaki" in cassette format. In 2015, a 7-inch single "Tsuki Nukeru" was released. In 2016, his debut album "P U N" was released in CD/LP format. As a multi-instrumentalist, he plays not only the guitar, but also the bass, synth, mandolin, ukulele, xylophone and percussions. By incorporating different rhythms from other countries, he creates a music that has a unique sense of foreignness.